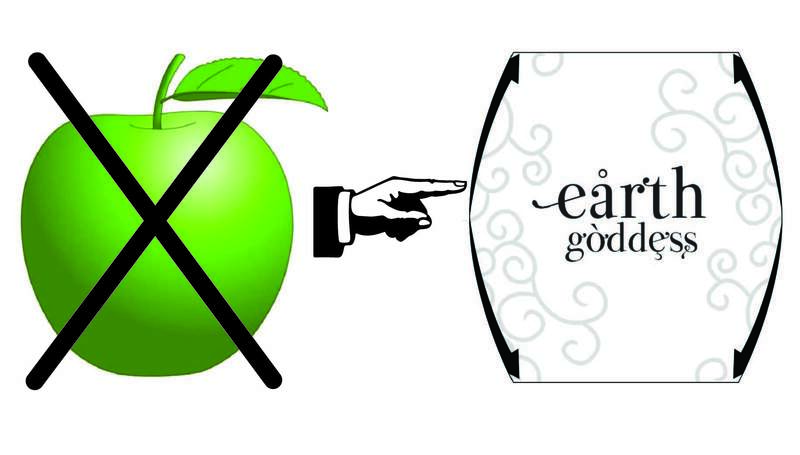 The Apple Figure is the new Earth Goddess! You are the third largest group in the US! You’ve checked your body shape and you are an Apple. Your waist outmeasures both your bust and hips. Maybe not by much. Maybe by a lot. Either way you are an Earth Goddess. Now what? What it it you need to avoid? What do you need to compensate for? NOTHING!! You Look at the World Differently Than Most! You care for everyone around you. You could mother the earth. In doing that, you lose yourself. So your body does just that. Hides you from the world. You hide behind billows of flowing kimono style jackets. You hide behind oversized shapeless tops. Most Earth Goddesses are more comfortable taking care of the world and the people around them then they are on taking care of themselves. Partly it is your personality but partly it is because there is so little information out there for you and so few clothes structured to fit your particular body style. Your shape is just as unique as any other and should be designed for just as much as any other body style. Unfortunately many retailers don’t Most have ignored you and assume you will settle for whatever they provide. Get rid of those billowy jackets with yards and yards of material. They do NOT hide you. Remember the test where you were shown two boxes – one white and one black and asked which is the largest when, in fact, they were the same size? Same thing here. Billowy fabric is like the white box. Well fitted clothes are like the black one. Follow one cardinal rule in ALL your ensembles – the Rule of Thirds. Vertically divide your ensemble into 3 sections (not 4 or 5 or 6! just 3) with the same color or pattern on the outer 2 sections and a brighter, more vibrant, color or pattern on the inner section. Wear garments that open in the front showing a bight center third. This will create a slender line of color that will bring the viewers eyes to your face. This Rule of Thirds can be done by wearing an open jacket. Wear long jackets that go well past your waist – a duster or kimono extending to the knees – and let it hang open. While you are best with quiet colors on the outside, that center third can be a riot of color. The eye will follow that burst of color up and down, slenderizing your figure. Keep the top of your arms covered so they don’t create a 5 vertical sections. That will just confuse things and widen the image you present. Just something covering the top of your arms is all you need. Bring tops down past your waist to your hips. Don’t go much below your knees with those jackets and kimonos or you get into the billow hide-me effect. You want to continue creating long lines with your slacks so stay away from the plazzo pants you used to hide in. Stick to the firmer, more tailored fabrics. At the same time the skinny jeans or cigarette pants will be out of proportions with your tops. Gain all the length you can by wearing them as long as you are comfortable with and giving them sizable cuffs. You are working to create a long visual line so full length slacks are better for you than crop or capri ones. Keep your skirts long and slimming as well. Flat fronted Aline skirts are perfect. Keep the length of all your skirts (except evening wear) to knee or mid calf. For more Earth Goddess information check out my page on Earth Goddess Dressing. Then slide right over to the Shop for a guide to shopping for your shape. It comes in a beautiful leatherette pouch that you can slip into your purse to take with you shopping or to check out Earth Goddess specific styles – it’s already sorted out for you! You’re Not an Apple!! You Are an Earth Goddess! Let’s continue with our exploration of empowering body shapes or styles with those of you that hide from the camera rather than embracing your figure. Once you dress to show off your assets you may find yourself front and center. Selfies anyone?!?! You’ve checked your measurements and the largest one is your waist. It outmeasures both your bust and hips. Maybe not by much. Maybe by a lot. Either way you are an Earth Goddess. For an assist in figuring out your shape check out my BodyShapeFinder. 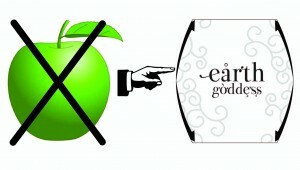 In the old paradigm you would be an Apple and told all the clothes that you were never to wear. It makes you want to hide and you tend to do just that – clothing wise. You hide yourself behind caring for everyone around you and mothering the world. You often hide behind billows of flowing kimono style jackets. Or an oversized top that has simply been sized up to your waist measurements with no considerations that the rest of you has remained smaller so the bust and shoulders gape and hang loose. You are around 11% of the population but your numbers are growing (in count – not size!!). Your shape is just as unique as any other and should be designed for just as much as any other body style. Unfortunately many retailers don’t Most have ignored you and assume you will settle for whatever they provide. First, get rid of those billowy jackets with yards and yards of material. They do NOT hide you. Remember the test where you were shown two boxes – one white and one black and asked which is the largest when, in fact, they were the same size? Same thing here. Billowy fabric is like the white box. Well fitted clothes are like the black one. Second, follow one cardinal rule in ALL your ensembles – the Rule of Thirds. Vertically divide your ensemble into 3 sections (not 4 or 5 or 6! just 3) with the same color or pattern on the outer 2 sections and a brighter, more vibrant, color or pattern on the inner section. Wear garments that open in the front showing a bight center third. This will create a slender line of color that will bring the viewers eyes to your face. Keep going with that idea and wear necklines that elongate your face – deep v necklines and button up shirts with an open collar. Use the Rule of Thirds on everything. Keep the bright to the center third. Cover the tops of your arms. You have been trying to shop and dress to look your best but most retailers have been ignoring your shape – until now….. What I am most proud of with Istina Designs is that the garments are designed and proportioned to the unique body styles. All my designs are tagged with the body styles they are best suited for. That doesn’t mean you can’t buy the garment if you are not that body style. It gives you guidance to find those designs best suited for you. Select your body style when ordering the outfit and it will be proportioned to your particular body style. No more gaping necklines!!! Furthermore, since the garments are completed after an order is received, the garment will be proportioned to your specific measurements. Check it out!!! Shop Istina Designs! If you want more detailed info on your particular body style, Get my free e-book Know Your Body Shape. We don’t always fall exclusively in one body style. We may fall between two shapes. (your hips and bust are about the same and your waist is only a couple of inches out of alignment for the Lady of Movement, etc). In those cases, pay attention to both body styles when shopping. For assistance there, pick up a Shopping Guide for your particular body style combo in the Istina Design Shop. Don’t hide behind your clothes and care for the rest of the world in an attempt to remain hidden. The rest of use will be just fine and would like to see you shine. Caring for others is a noble pursuit. Do it while being a shining example of empowered dressing. 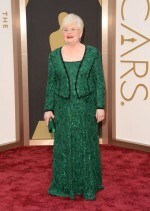 Sunday’s Oscars gave a fresh dose of the good and the ugly dressing. All the stars were dressed to the nines. Some enhanced their appearance by acknowledging and dressing to their body shape and others just followed the whim of fashion. It was doubly refreshing to see an Earth Goddess (aka an Apple) empower herself and dress beautifully rather than ignore or lose herself in the crowd. Sunday night June Squibb did just that. The ‘jacket lapel’ lines in the sequining of her dress divided her voluptuous figure into thirds and created beautiful slimming lines. Moving the viewers’ eyes up towards her face creates additional height to her figure and a slimming effect. Doing that, she could express her inner diva with sequins from head to toe (something that old Apple is told to avoid) and still be gorgeous. Unfortunately, another Earth Goddess, Gabourney Sidibe, did the exact opposite with her attire Sunday night. Wearing a narrow belt around the fullest part of her torso only drew attention to that measurement and moved the viewer’s eyes from side to side as well as shortening (and thereby widening) her figure. Nothing else in her attire countered this. A very typical Earth Goddess, she ignored her body shape to focus rather on the world around her. I applaud that outward focus and care. However little inward attention to her body shape would send the message to that world that she is someone to listen to.